It has been interesting year for me with the start of this blog. 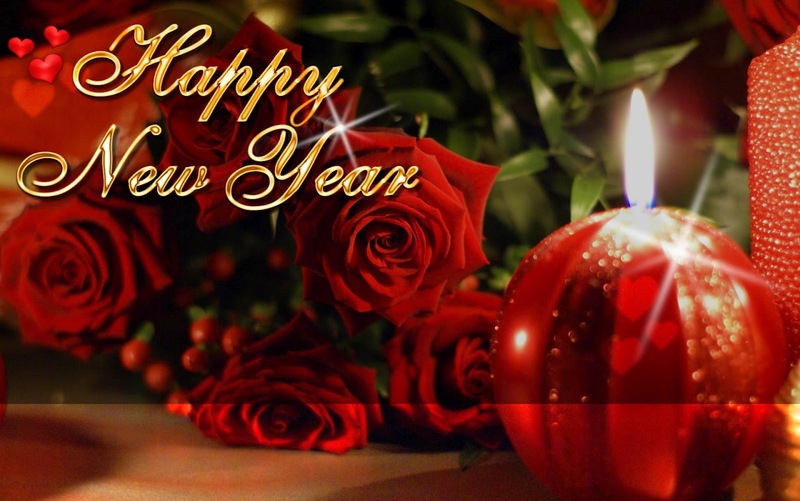 Thanks for the support and wishing all the readers Wishing all my Viewers, Blogger friends and Readers Happy New Year!!! 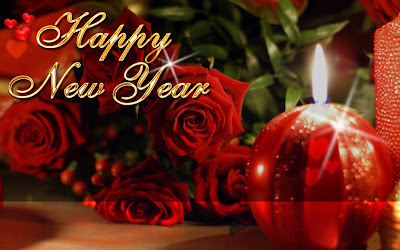 Have a wonderful & prosperous new 2013. 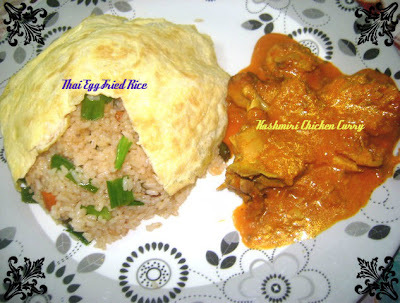 I Would like to end wonderful year with Thai Egg Fried Rice & Kashimiri Chicken Curry. Heat oil in a large wok on a high heat. Add minced garlic and onion, saute for few minutes. Now add carrot and beans and mix well. 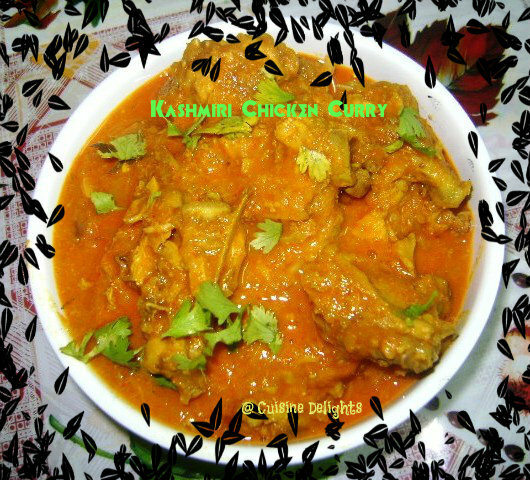 Cook this for 5 mins. Season with salt, move the vegetables to the side and make a well in the center. Pour the eggs in the middle and scramble it with a spoon.When the eggs are scrambled mix it with the veggies. Now add in the cooked rice and toss well with the vegetables. Drizzle some fish sauce and pepper powder all over the top and keep mixing. Throw in lots of cilantro and mix well. Garnish with egg omlette. Serve hot with Kashmiri Chicken Curry. almond paste. 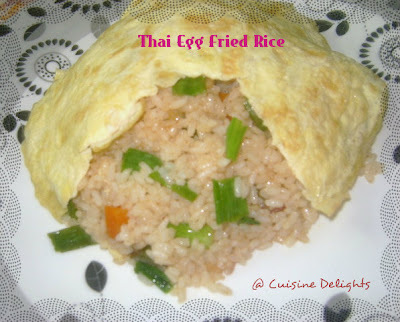 I served it with Thai Egg Fried Rice. Heat the oil, add onion puree, stir until it changes its color. it until chicken half done. 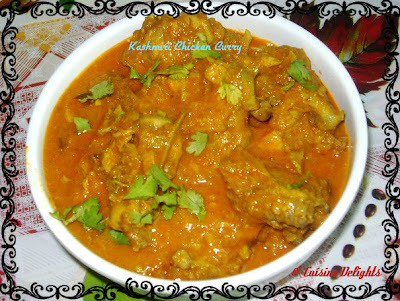 Add a dash of ghee and serve hot with Thai Egg Fried Rice or parathas.